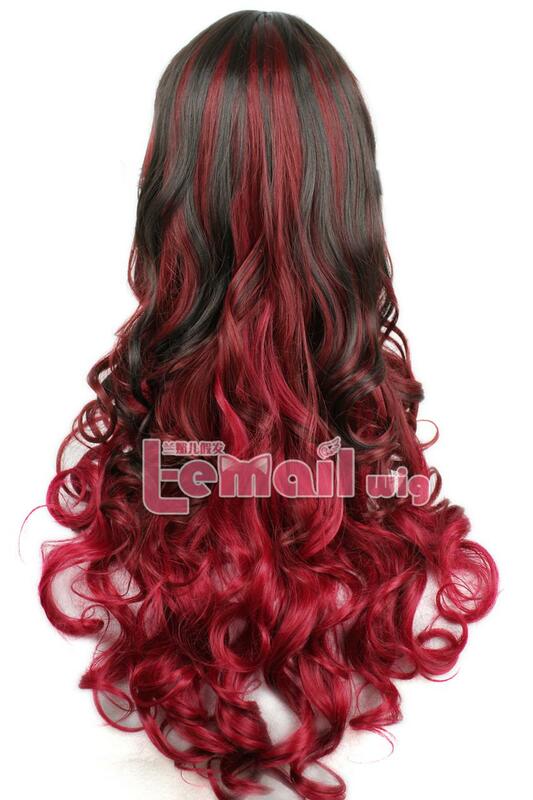 This Gothic classical style wig gets lusciously thick and silky curly hair. The wig is silky and the texture is very soft and smooth. It incorporates black color with burgundy part. Wearing two tones of hair is chic and classy. Not only does it make your hair look thick but it also accentuates your facial frame. Gothic style brings its elegant and loyal temperament can surely make you a highlight among the crowd and catch more attentions. 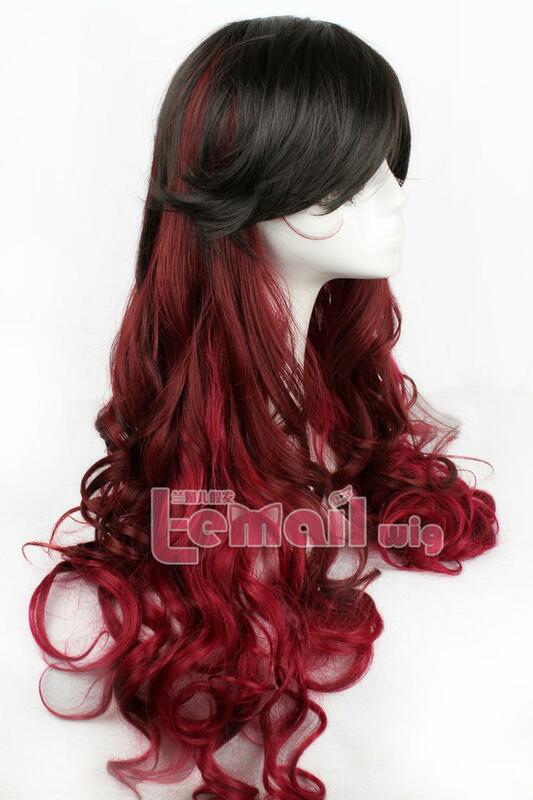 Gothic cosplay wig comes with an adjustable head cap and a forehead band that keeps the wig comfortable at your scalp. And it has a firm grip, which can prevent friction in your natural hair. This is why damage of your own hair is reduced greatly when you are wearing it. 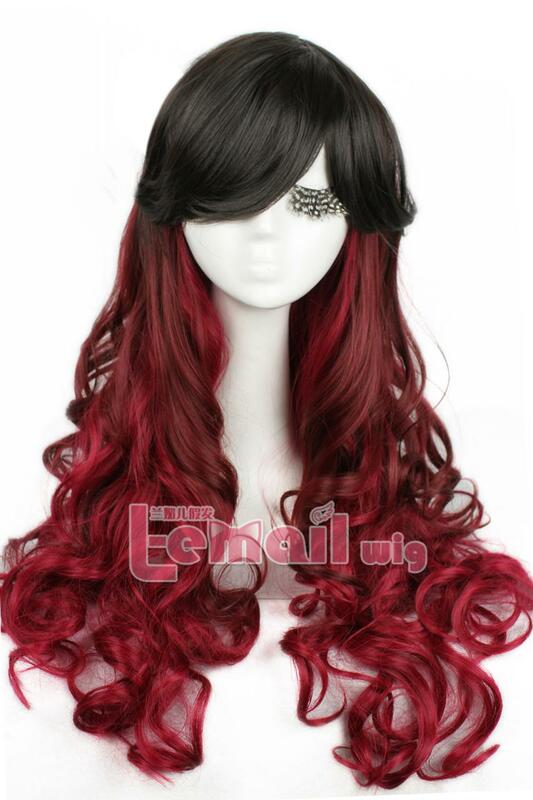 This entry was posted in Buy Cosplay Wigs, Fashion Wigs, Wigs and tagged black color wig, burgundy color wig, Gothic cosplay wig, soft wig.